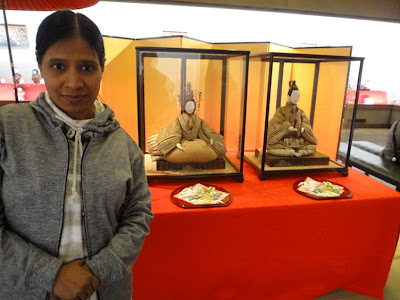 On 4th and 17th March, hubby and I went to see hina doll festival in Yurihonjo city of Akita prefecture and Sakata city of Yamagata prefecture. 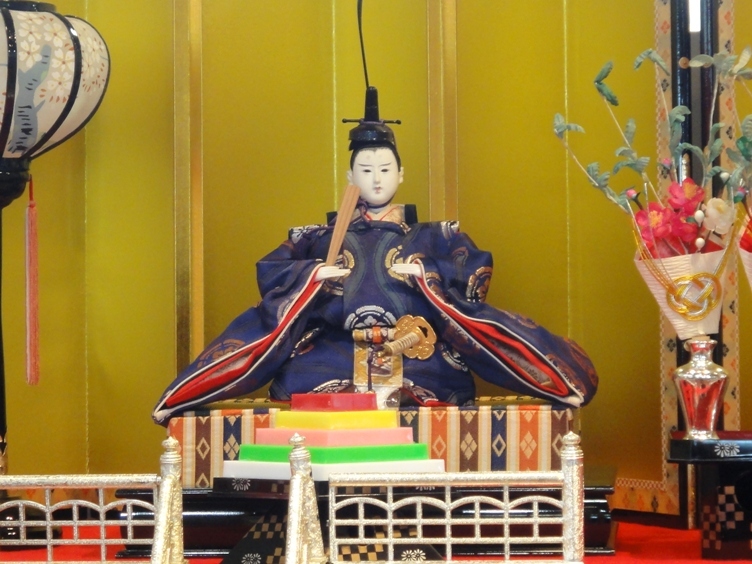 The Japanese doll festival hina matsuri is held on March 3rd every year. Families with daughters display a set of ornamental dolls representing the emperor and empress (dairibina), three court ladies (san-nin kanjo), five male musicians (gonin bayashi), ministers, and attendants in traditional court dress of the Heian period. 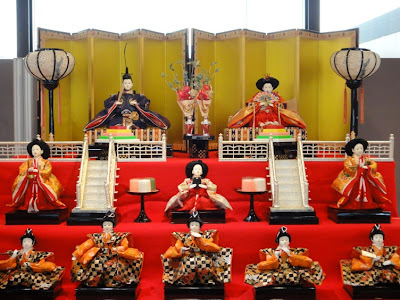 The dolls are placed on stepped platforms with a red decoration sheet called a himosen. The custom of displaying dolls began during the Heian period. It was believed that the dolls possessed the power to contain evil spirits. 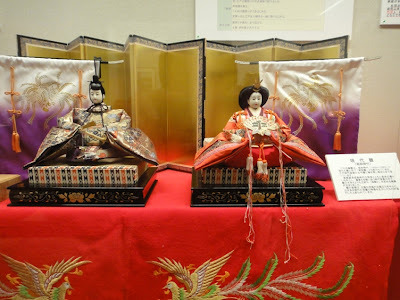 While hina matsuri is a private display of hina dolls at homes, we visited several public displays of hina dolls some of which were antique and dated back a few hundred years. 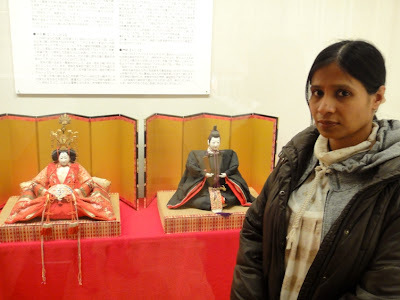 We went to see hina doll displays at two places in Yurihonjo city of Akita prefecture. There is a public annual traditional doll display event held in the city that has been named as Yurihonjo hinakaido, which means ‘Yurihonjo city hina doll route’. The first event was held in 2008, and since then it has been held every year. 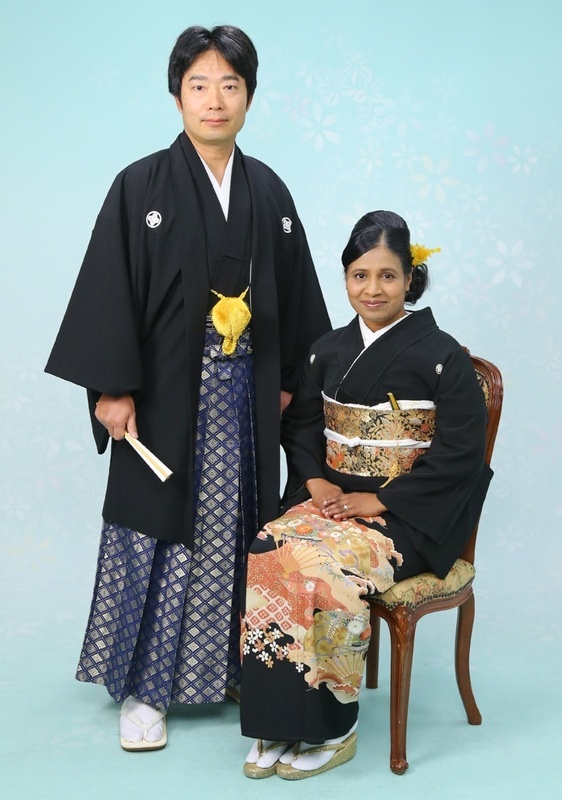 Yurihonjo hinakaido festival is coordinated by Akita prefecture Yuri regional development office. Hinakaido festival encompasses four main areas of Yurihonjo city, namely Iwaki in the north, Ouchi and Honjo in the center, and Yashima in the south. 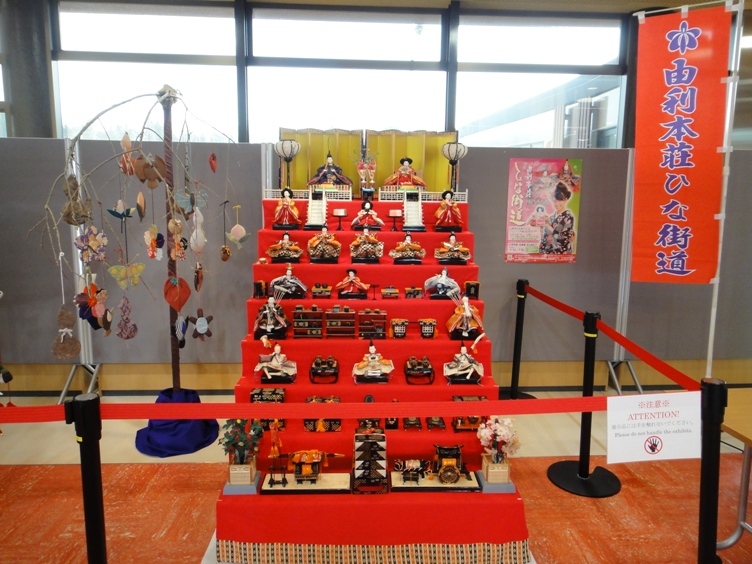 This year, hina dolls were displayed at six public exhibition halls from February 10 until April 08. These public halls are Kameda castle Sato Yasohachi art museum, Iwaki local history museum, Ouchi Dewa denshokan, Honjo kyodo shiryoukan, Shushin-kan hall in Honjo Park, and Yashima kyodo bunka hozon denshu shisetsu. 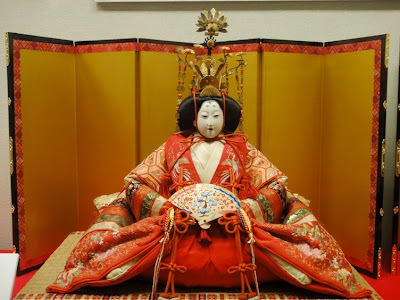 In addition, machinaka hina-meguri festival takes place in more than 60 different locations within the city where visitors can follow a map and drop by in shops, hotels, a few private homes and offices, and see traditional hina doll displays. This year it was held from March 09 to March 20 in Ouchi, Honjo and Yashima, and from March 17 to April 03 in Iwaki. 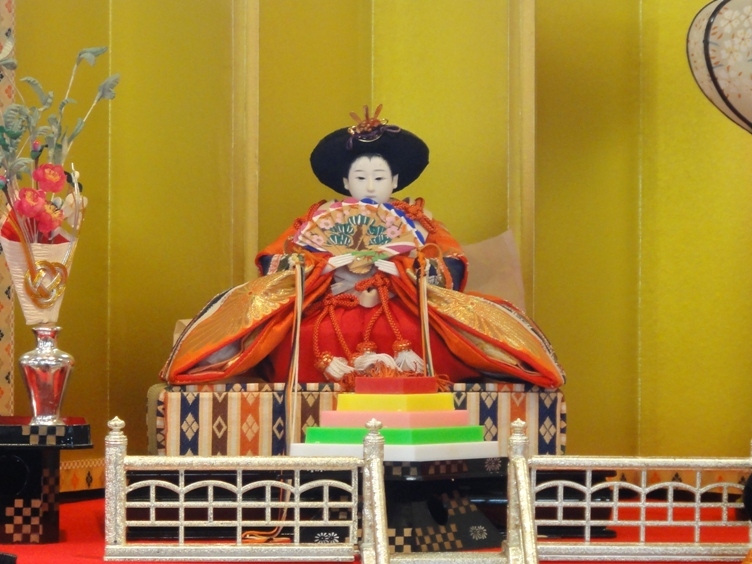 The hina doll displays vary greatly in size, history and style. 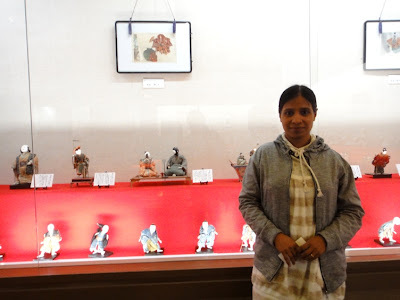 On March 17th, hubby and I went to see the display of hina dolls at Shushin-kan in Honjo Park, which is one of the six public exhibition halls in Yurihonjo city. 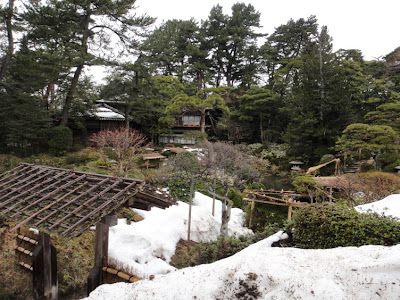 Honjo Park is located on the site of Honjo Castle which was built in 1613. Shushin-kan hall is located in the center of the park where we can learn about the history and culture of Honjo. The park is located about three kilometers away from our home and it took us ten minutes to reach there by our car. Several types of exquisite and beautiful hina doll sets were exhibited in one of the rooms of Shushin-kan hall. 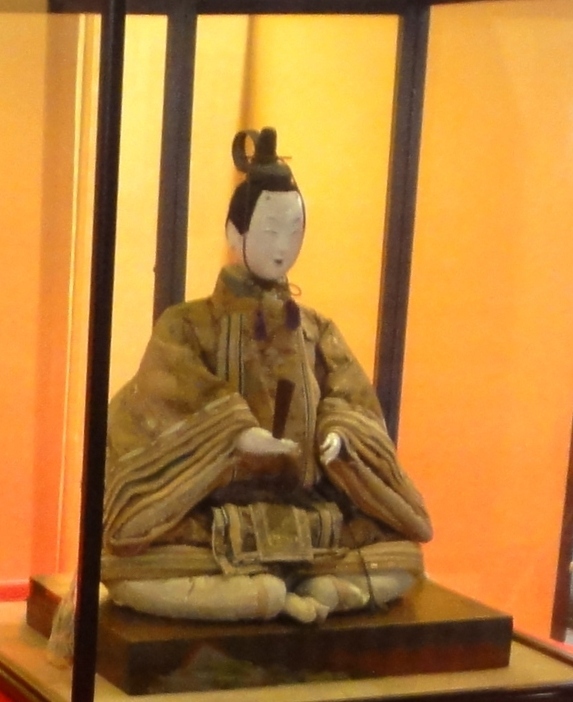 We moved inside the room in a counterclockwise direction and enjoyed seeing the antique as well as modern doll sets and paintings one at a time. 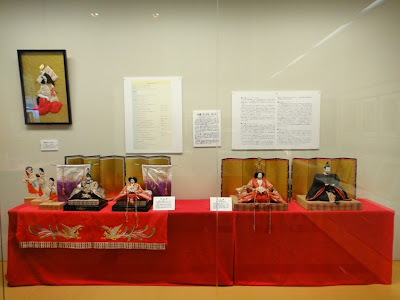 First we saw dairibina imperial hina doll set belonging to Sasaki-ke (Sasaki family) of Omote Ozaki town in Honjo city. The hina dolls were typical kokinbina dolls of Edo period. 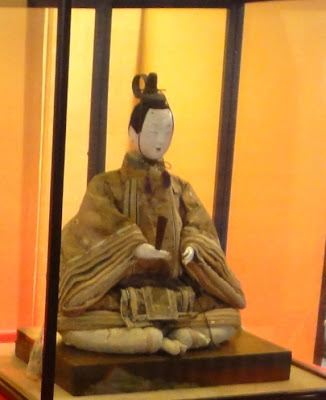 A person named Otsuchiya Hambei of Ikenohata Nakacho in Ueno was a well known wholesale dealer of hina dolls during Meiwa era (1764-1772) of Edo period. 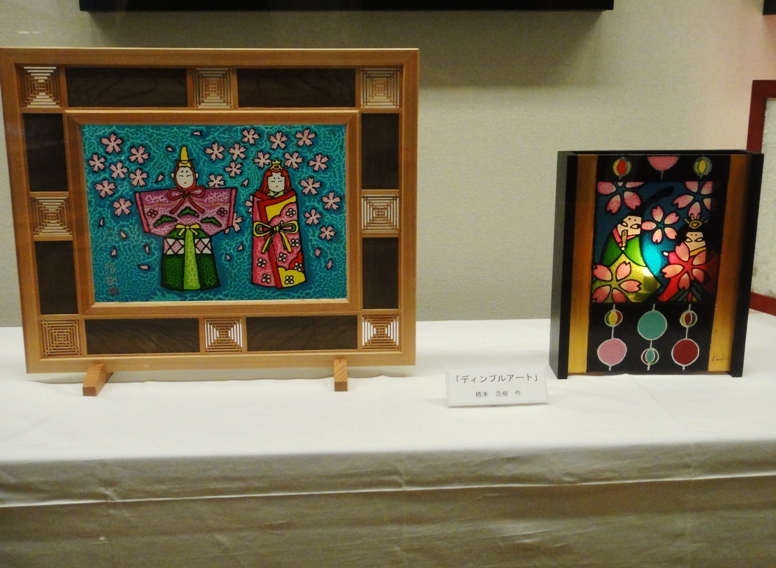 He ordered a hina doll maker named Hara Shugetsu to make these beautiful dolls. 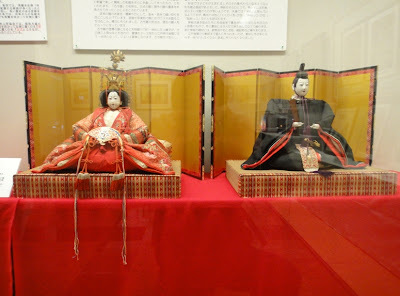 The traditional arrangement of the dolls during the Edo period had emperor doll odairisama on the right side and empress doll ohinasama on the left side from the viewer’s perspective. The eye balls of the displayed dairibina dolls were made of glass, which is one of the salient features of kokinbina that makes the dolls look real life-like. In addition, the faces of the dolls were shiny. 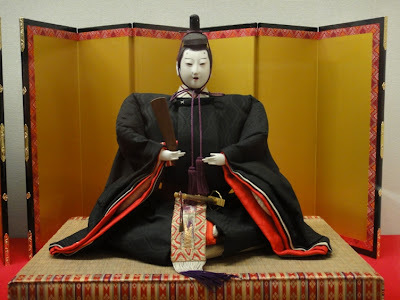 The kimono clothes of these dolls had a lot of gold threads, colored threads, and gold brocade. 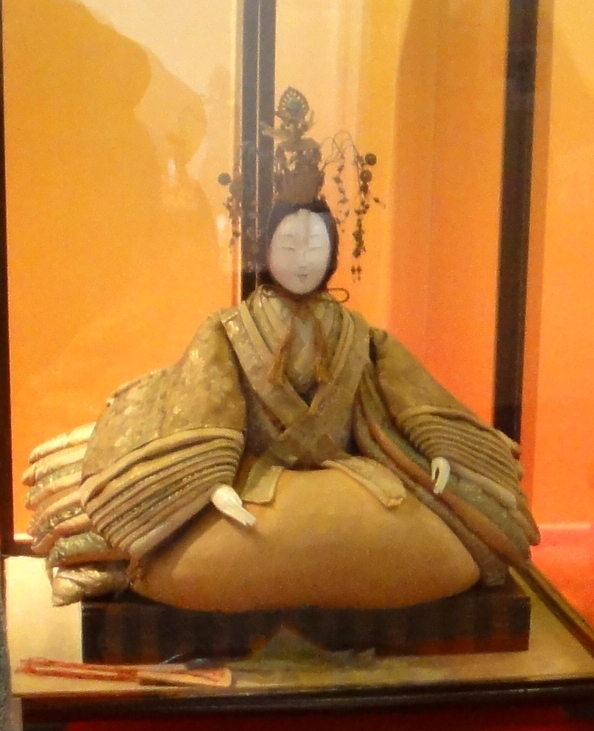 This kind of kokinbina dolls are considered to be the origin of the style of present day modern gendaibina dolls. 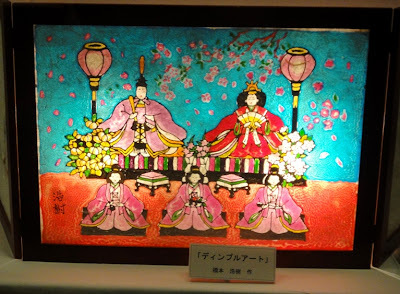 Adjacent to kokinbina dolls, we saw a beautiful gendaibina doll set made during the Showa period (1926-1989). These dairibina imperial dolls have a modern style. In fact, kokinbina dolls of the later part of Edo period are considered to be the origin of the modern style gendaibina dolls. 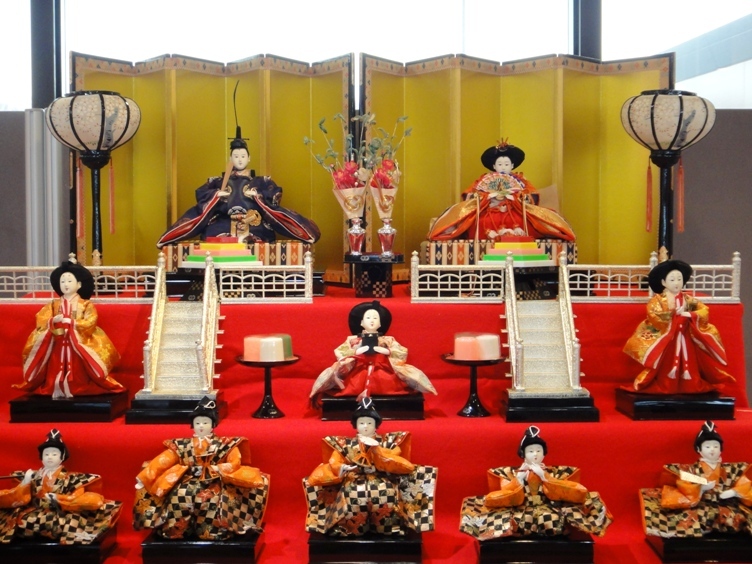 The arrangement of gendaibina dolls of the Showa period as well as the present day hina dolls has odairisama on the left side and ohinasama on the right side from the viewer’s perspective. 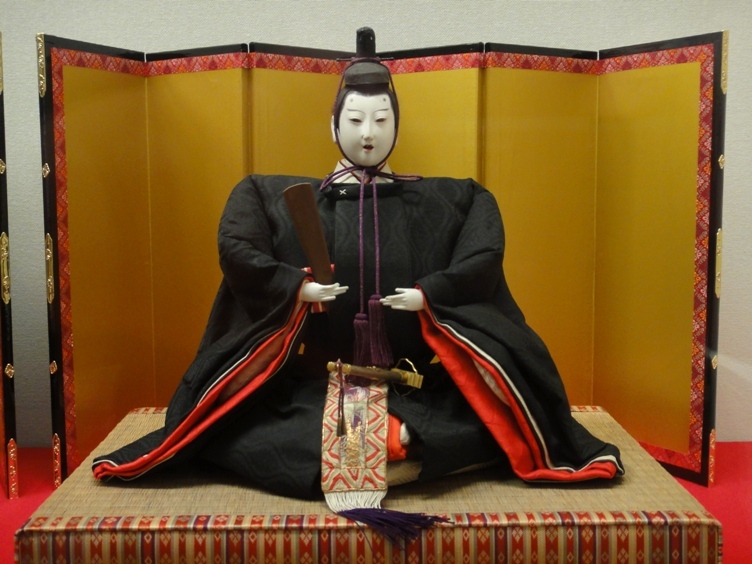 The facial features of the displayed gendaibina dolls exhibited classical features of the traditional Kyoto styled dolls. 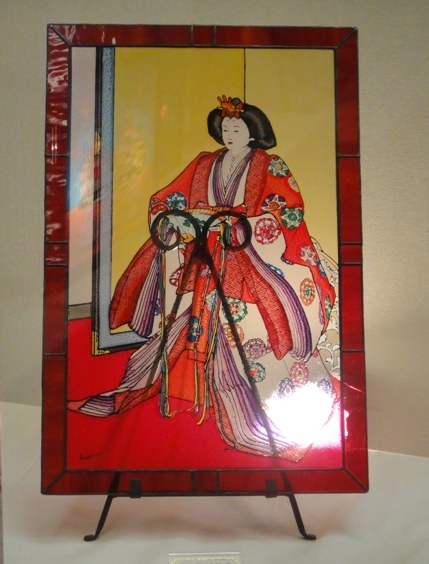 In fact, the modern dolls reflecting Kyoto styled facial features were very popular during the Showa period. In another corner of the room we saw colorful paintings of hina dolls that were painted by a technique known as Dimple Art. This method involves painting on large glass panels with a special paint made from recycled products. The paintings look like real stained glass. I was pleasantly surprised to know that the paint used for Dimple Art is made from recycled polyvinyl butyral (PVB) resin. Windshield of cars usually contains an interlayer of PVB between two or more layers of glass. This PVB keeps the glass layers bonded even when broken by an impact. PVB is an industrial waste and according to the Japanese laws recycling of PVB is mandatory for automobile manufacturers. 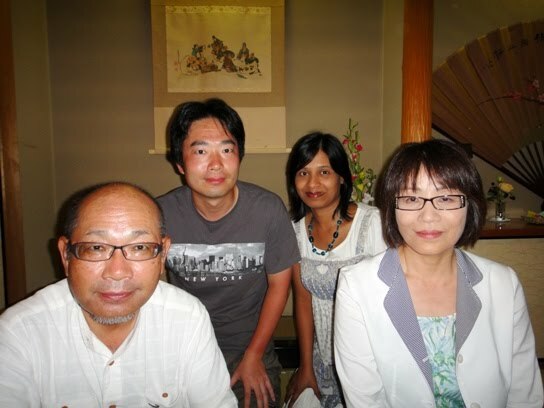 Professor Takao Kimura from Utsunomiya University has been successful in recycling PVB as paint for use in Dimple Art. Very eco-friendly recycling of industrial waste. 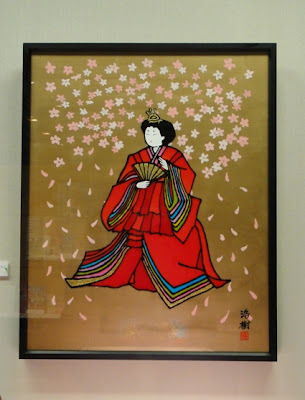 After knowing the history of Dimple Art, we were very much interested to see the paintings of hina dolls in details. There was a grand display of Dimple Art paintings of odairisama and ohinasama in one corner of the hall room. We loved viewing these beautiful paintings. The colors were so vivid, luscious, bright, and fresh. Under the machinaka hina-meguri festival, one set of hina dolls were exhibited at the second floor of domestic terminal of Akita Airport. The exhibition was held from March 01 to March 19. On March 4th, hubby and I went to Akita Airport to travel to Tokyo as hubby had been to Thailand for a business trip the next day. 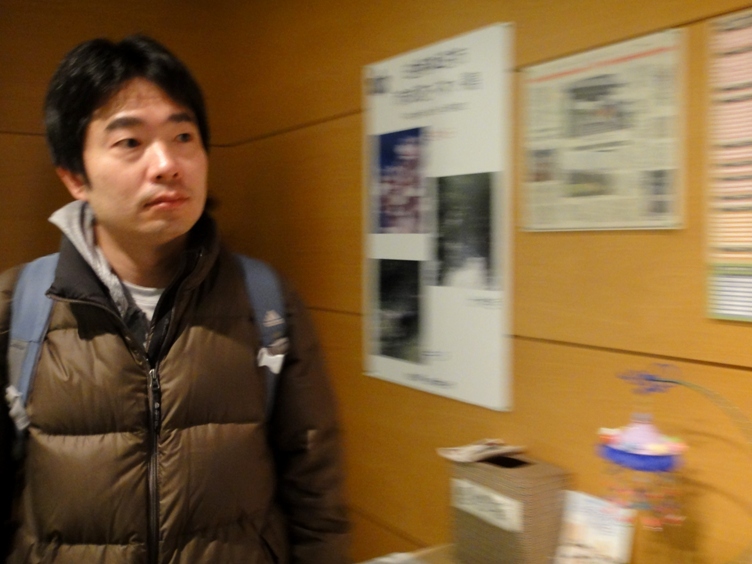 I just accompanied him up to Tokyo. The displayed hina doll set at the airport was very cute and dairibina imperial dolls had modern gendaibina style. 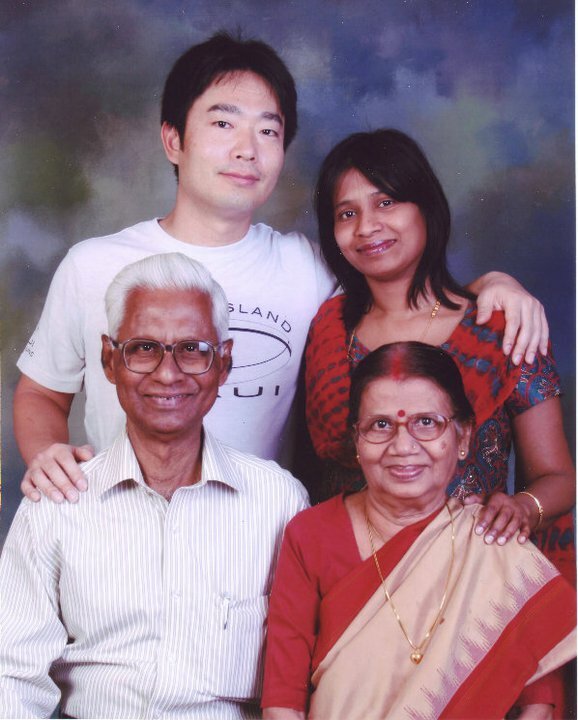 It should be noted that the economy of Japan became very strong after World War II, and families with daughters preferred to have lavish hina doll sets having many ornamental dolls for private display at home. Therefore during the postwar era along with the dolls representing dairibina imperial dolls, many other dolls like san-nin kanjo, gonin bayashi, ministers, attendants, and a variety of miniature furniture and tools are also displayed on five to seven stepped platforms covered with a red decoration sheet. The public exhibition of hina doll set at Akita Airport also had many dolls and accessories, and the doll set was displayed on a seven stepped platform. A trip to Yamagata prefecture is essential to experience the hina matsuri festival with the strongest vestiges of its former glory. Yamagata area has the highest concentration of publicly accessible hina displays in all of Japan. Many wealthy merchants were based in this region during Edo period and the displays are usually held in their former residences, many of which have been converted to private museums. We visited Homma Museum of Art in Sakata city. In the afternoon of March 17th, we visited Homma Museum of Art in Sakata city of Yamagata prefecture. It took us about two hours to reach the museum by our car. It is a private museum that opened in 1947. 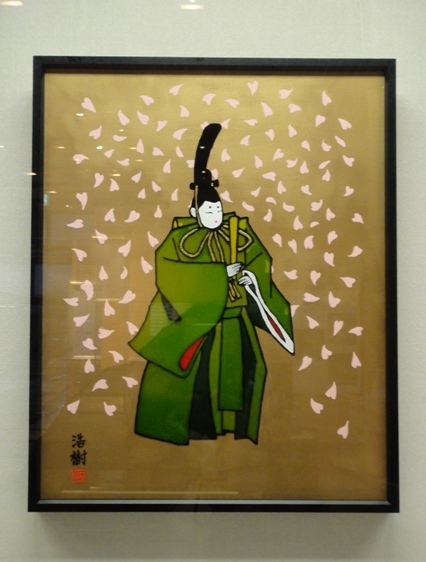 It was loaned by Homma family and has exhibits that increase cultural awareness about Japan. There is a beautiful garden in the museum premises. 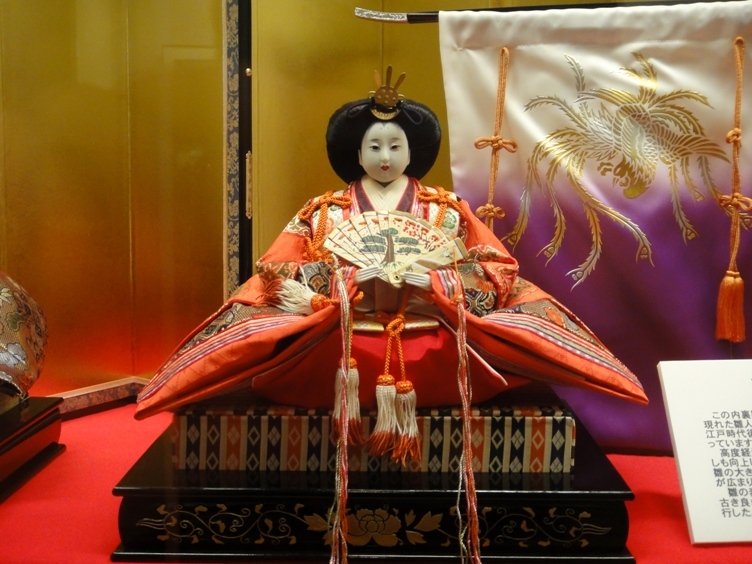 The doll exhibits of this museum are very popular and are well known throughout Japan. 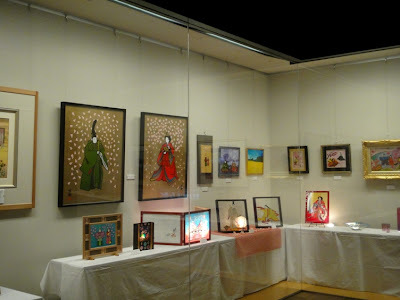 This year from February 25 to April 03, various kinds of hina dolls from the initial Edo period to Meiji period and belonging to Satake-ke, Kazama-ke, Akino-ke and several other families were displayed at the museum. The exhibition consisted of a collection of 70 classic antique hina doll sets with more than 200 dolls. 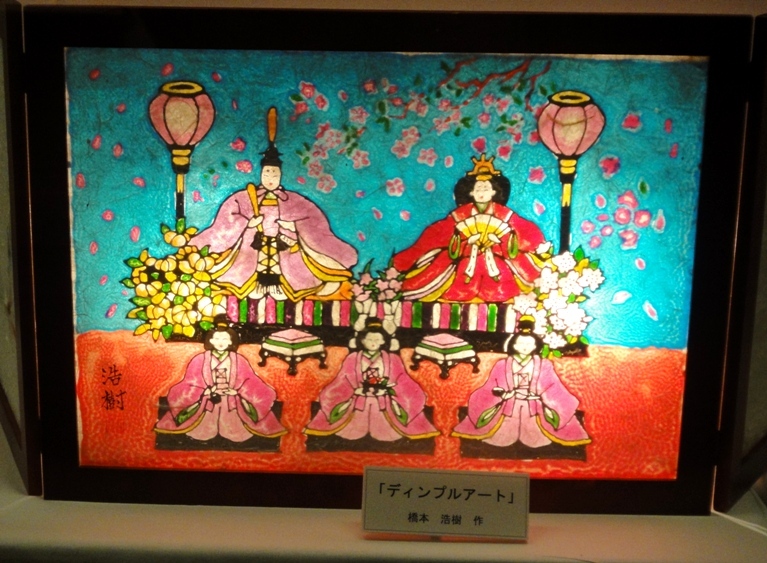 The main attraction of the museum this year was a pair of kyouhobina dolls. Kyouhobina dolls were initially made during Kyouho era (1716-1736) of Edo period, and this style of hina dolls became very popular during this era. 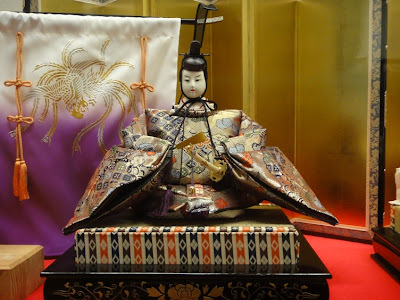 It should be noted that ‘kyouhobina’ is the name of hina doll style and were made even after the era ended. 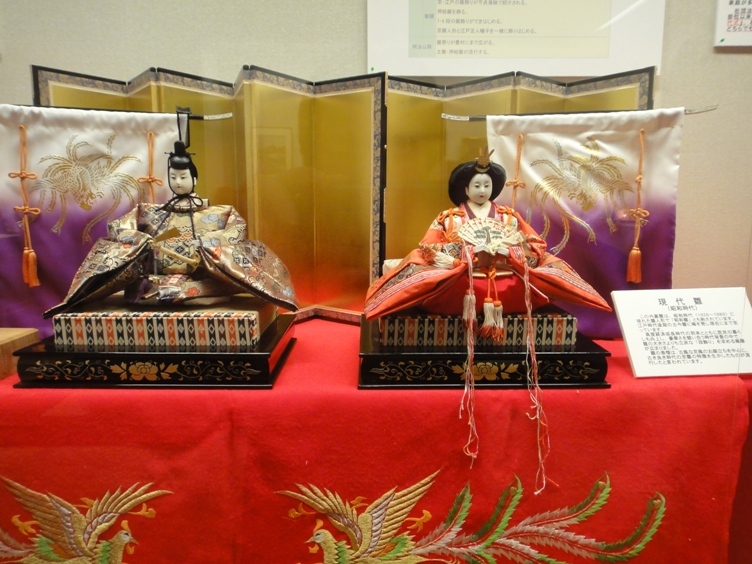 The main pair of kyouhobina dolls displayed at the museum was made during the end of Edo period. Kyouhobina dolls are rather big in size as compared to other types of hina dolls. Amongst various kyouhobina dolls exhibited at this museum, the main pair of dolls was the biggest one. The height of odairisama doll was 49.8 cm and ohinasama doll was 41.8 cm. Odairisama doll looked handsome in sokutai kimono, had a sword as an accessory, and held a flat ritual baton named shaku. 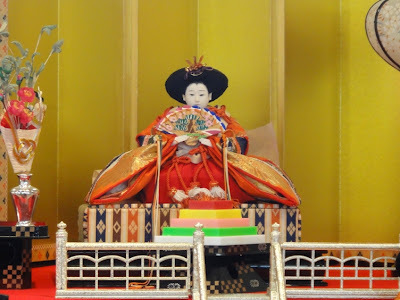 Ohinasama doll looked elegant in five-layered robe itsutsuginu and an exotic outermost costume karaginu kimono, and also wore a beautiful crown. Kimono sleeves of odairisama and ohinasama were straightened sideways laterally and the kimono cloth had a lot of gold material and brocade, which are the salient features of kyouhobina dolls. 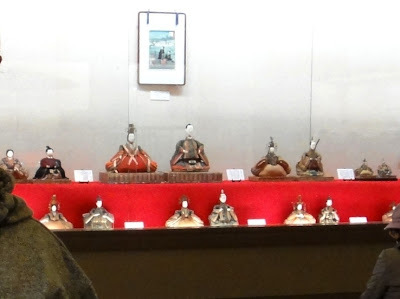 We loved visiting the exhibition of various kinds of hina dolls in Yurihonjo and Sakata cities. Thank shooting star for reading the post and liking the pictures of the dolls. This looks like a lovely kit. I just LOVE it.